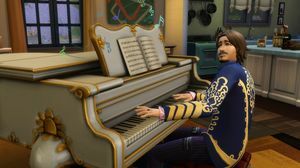 Siobhan Keogh takes a look at The Sims 4 and discovers a game that may feature weirder stories, but also feels weirdly incomplete. Yep, The Sims 4 is definitely a Sims game. Just as in previous games, your sim can get a job, work their way up the ladder, have a family, have hobbies, break up the family, and get into slapfights. Sims are born and sims die. And yes, you can put a sim in a room with four walls around it and no doors and watch them starve to death. When the game starts, you’ll get to mess around with the character creator. Frankly, The Sims 4’s character creator is easily one of the best ever created for a game if what you’re looking for is an absurd level of depth and control. If you want a sim to look exactly like you, you can probably do that. The variation in body type, face shape and facial details is quite astounding. In The Sims 3, your sim had a constant stream of goals to be achieved, each worth aspiration points. A similar system is in place here, except some of your goals are dependent on the new emotion system. Emotions govern your sims more than ever in The Sims 4, with a number of actions varying a little bit based on your sim’s mood. Once your sim gets confident, for example, he doesn’t just go pee. He pees "like a champion". Even a week into playing (having put a fair few hours in, too) I kept being surprised and amused by my different actions. When your sim starts to feel a strong emotion, as little bubble will pop up in the bottom left corner that asks you to do something. If your sim is sad, that bubble might prompt you to get them to cry it out in bed, or to call a friend. If you’re feeling flirty, the bubble might tell you to share a dirty joke or, ahem, “WooHoo” with someone. Whenever you complete one of these mini goals, you get aspiration points which you can later spend on stuff that will make your experience easier. I was finding romance quite difficult, for example, so I spent my points to buy a ‘beguile’ emote that forced my companions into a flirty mood. Another new feature is the ability to multitask. In previous Sims games your sim could sit and watch TV and also talk to someone who’s watching TV with them. Now you can do that with a lot more things - you can have your sim pick up his plate and wander over to the door to let a guest in, then chat with them while still wolfing down dinner. It makes sense and saves time. 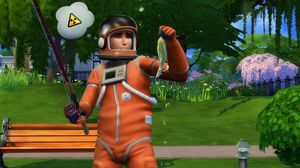 The Sims games have always been deliberately incomplete, but it seems Maxis has taken extra steps this time to ensure that you want to buy as many expansion packs as you can. Developer Maxis generally seems to have taken the value of your time into greater consideration with The Sims 4. When your sim sleeps, or they’re at work, time speeds up and goes a lot faster than it has in previous games. But while time is saved, there are also ways you have to work harder. You can’t just send your sim off to work in a good mood and expect they’ll get promoted - instead, you have to achieve other goals outside of work time. It’s scarily like real life. And your sims’ aspirations - that’s their lifetime wish, for loyal Sims fans - are harder to achieve as well. Instead of having one big goal - like being in 10 relationships over your sim’s lifetime - you have a bunch of little goals. My guess is that this is intended to spread the sense of achievement out over time, but it made reaching the end goal less satisfying. 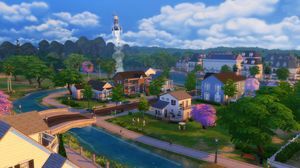 A few weeks ago, Maxis announced that this version of the game wouldn’t feature a couple of the things that Sims fans considered core to the game, such as swimming pools and the toddler stage of childhood. I’m a long-time fan of The Sims, but to me those features weren’t integral to the Sims experience. It turns out Sims fans were right to be a bit concerned, because it’s not just toddlers and pools which are missing. There are a lot of little omissions - the open world, basements, the ability to change how much your sim works during the day - and they do stack up. There’s also a bit of a lack of content, although there usually is in the base game. 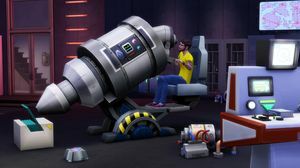 The Sims games have always been deliberately incomplete, but it seems Maxis has taken extra steps this time to ensure that you want to buy as many expansion packs as you can. One of the major things I missed was the variation in the types of places you could go. In The Sims 3 there were restaurants, public pools, stations, and city halls. There were stadiums and hospitals, and you could see your workplace on the map. Now, there are hardly any places to go - just parks, gyms, the library, the museum, and various types of drinking establishments. I had no sense of exploring new things and felt that even if I were given more towns to choose from, they would essentially all be the same. There are definitely elements of The Sims 4 where Maxis has tried to do right by fans. The developer has tried to add new features and make it exciting again for people who’ve never touched it before. But why make a really great game, when you can make a game that’s pretty good and make it great later? For a price, of course. 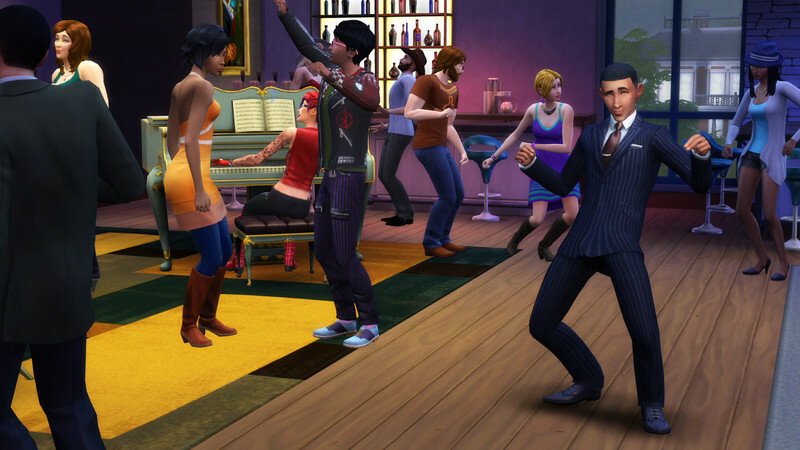 The Sims 4 is a visual and mechanical upgrade, but it's missing many of the things Sims fans are used to. Ups Funny and well thought-out new emotion system. Wastes less of the player’s time than previous games. Great character creator. Downs The world is no longer open. Fewer locations to visit. Feels deliberately incomplete.